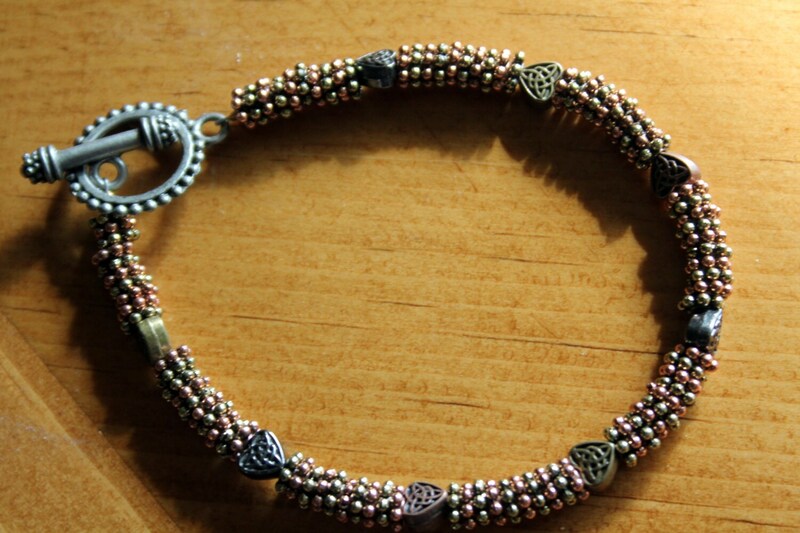 This mixed metal bracelet features Celtic hearts in brass, gun metal gray and copper. 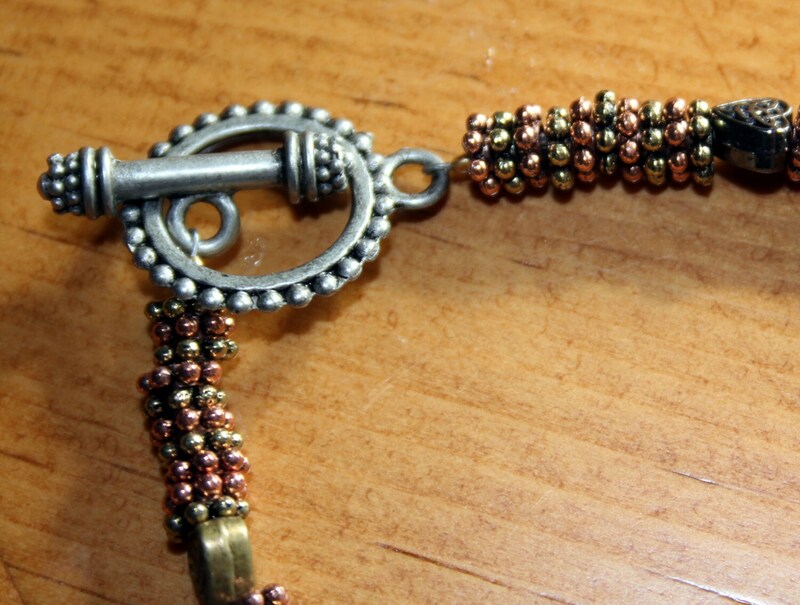 They are strung between several inches of copper, brass and antique silver spacer beads. The toggle clasp features the same pattern as the spacer beads in gun metal gray. The bracelet fits an average wrist of 7 1/2 inches. It's warm colors go well with a dressy outfit or with jeans.